so far we’ve covered the horrors of fast fashion: sweatshops, child labor, environmental degradation, animal cruelty. fast fashion exists because consumers create demand. 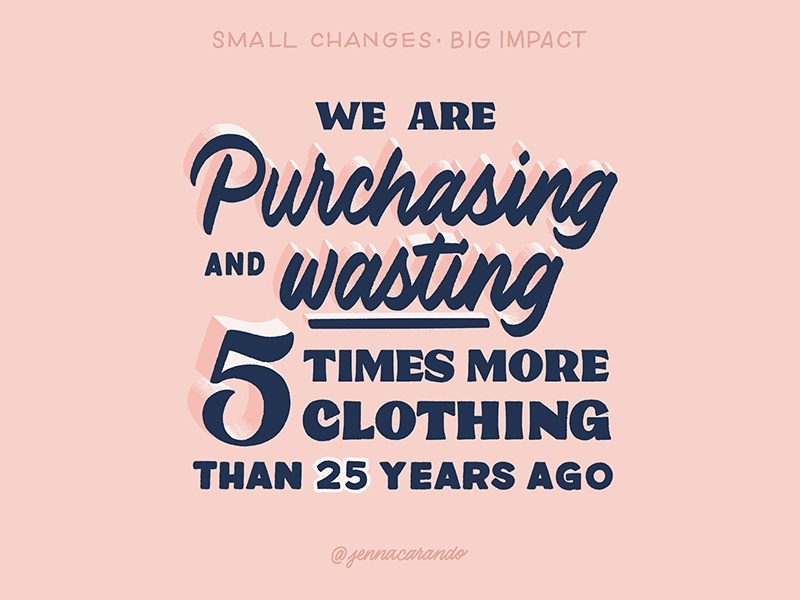 just a few small shifts in your approach to acquiring clothing can save you time, money, and have a positive impact on the planet. • revitalize the clothing you already have. 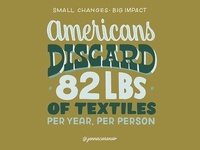 women wear a garment an average of 7 times before throwing it away! mending or tailoring your clothing can completely reinvigorate them. • put your money towards clothing that has already been produced, instead of contributing to the demand for new clothing. secondhand stores are often charitable, locally, or family-owned, so you also help support small business. • secondhand shop from the comfort of your home. try ThredUp, Tradesy, Depop, Poshmark, Ebay, and Etsy (search vintage). ThredUp ‘s Clean Out Bag program will let you send in your old clothing for free, pay you up front or once your clothing sells, and will send unaccepted items to their textile recycling partners to repurpose into new products. • host a clothing swap with friends! ready to part with some clothing that doesn't make the cut for consignment or a clothing swap? many charities and donation shops can barely begin to deal with the amount of clothes being donated. only about 20% of Americans’ used clothing ends up being sold at secondhand retail outlets or thrift stores. 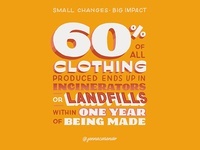 the volume paired with the declining quality of donated clothes means that many items end up in a landfill anyway, or are exported to other countries. when this excess clothing is sent to other countries, it can wreak havoc on local industries and take jobs from local textile workers. instead, consider finding a local homeless shelter or a women's shelter. when your clothing has reached the point of no return, seek out a recycling program. a few options include ReSpun by Marine Layer, Madewell‘s partnership with Blue Jeans Go Green, and Reformation’s free mail-in option. 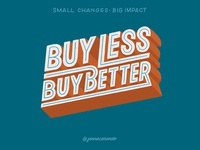 some companies like Patagonia's Worn Wear and Eileen Fisher offer repair or buy-back programs. 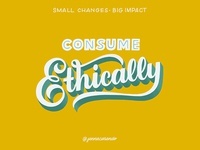 in my next post, I'll talk about how to shop ethically for new products. I'd love to hear any tips you have!